In Reverse glass painting technique the painting is done on one side of the glass and viewed from the other side of the glass. 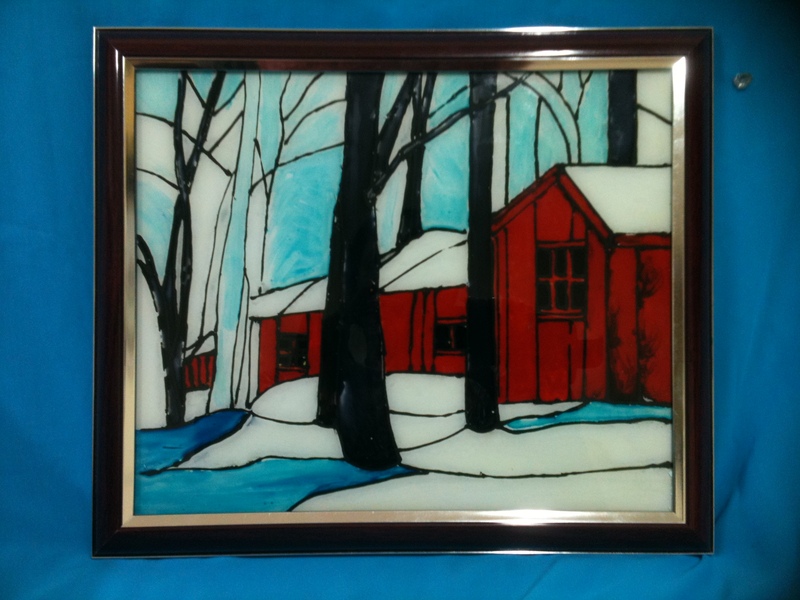 Unlike in normal glass painting, in reverse glass painting the finer details are done first and then the background. Which means the details that have to be seen in the foreground is painted initially. For instance, if you are painting a body with jewellery first you need to paint the jewellery followed by the body. So in reverse glass painting minute details like eyes, lips, eyebrows are painted and then the face.